Calm Your Stomach With Some Preggo Pops! Confession: I want ice cream almost every night. But because my doctor has warned me against eating too many sweets and because I'm really not trying to produce a 13-pound-baby, I am on the hunt for some healthier alternatives. 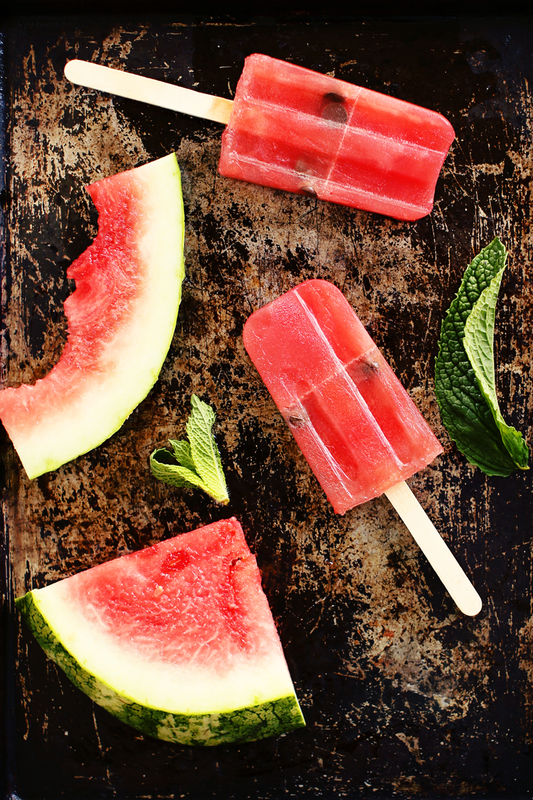 Much like the smoothie craze, popsicles can be a great and healthy option for indulging my sweet tooth but still getting the nutrients in that my baby and I need. And luckily for me, there are some super-creative people out there who have whipped up some perfect popsicles for every stage of pregnancy. 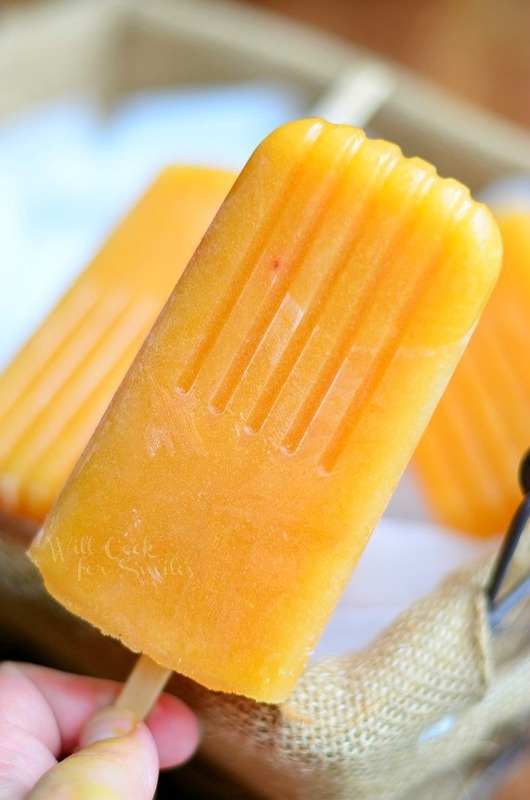 Ginger Peach Green Tea Popsicles. If you're in the throes of first trimester (or even later) morning sickness, these ginger peach green tea popsicles would be perfect to soothe your rolling tummy. Ginger is a great remedy for nausea and this recipe also includes refreshing peach and green tea (you can makes yours decaf, of course). Get the full recipe from Will Cook From Smiles. 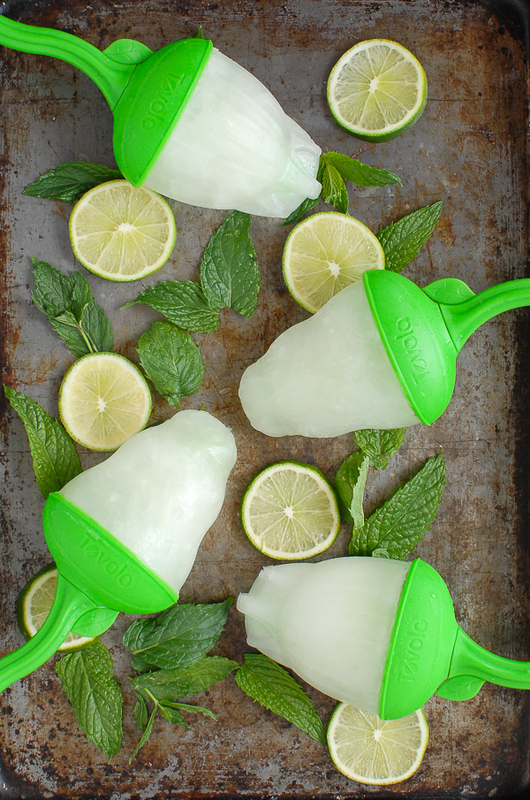 Lime Mint Ginger Popsicles. When I was battling severe morning sickness during my first pregnancy, my one and only lifesaver was peppermint. It saved me from many public bouts of throwing up, for sure. Which is why I find this lime, mint and ginger combo popsicles from Boulder Lacavore so intriguing. Both the mint and the ginger will help quell that nausea in a major way. 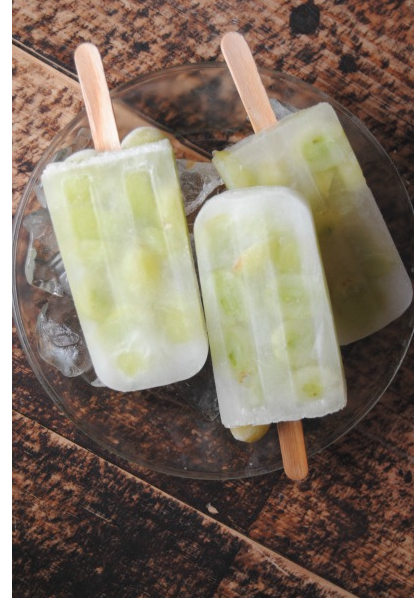 Cucumber Grape Popsicles. Nothing says hydration like some water-packed cucumber. 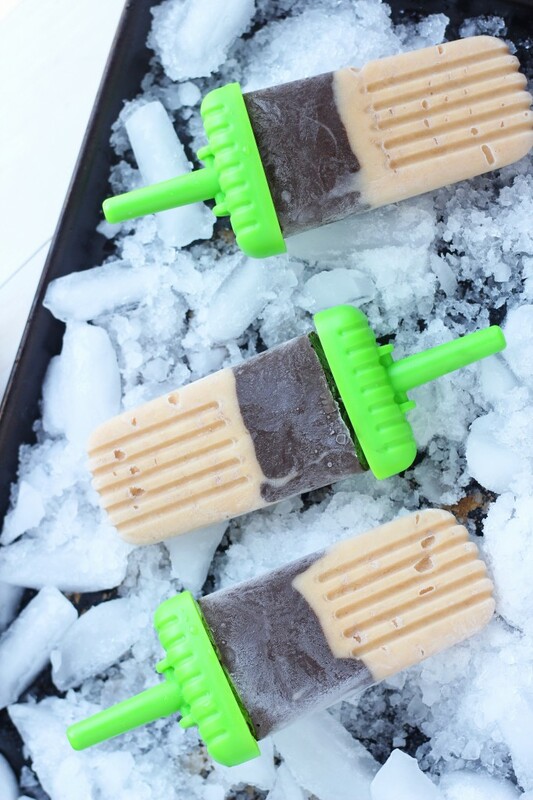 Combined with the fresh sweetness of frozen grapes and lime, this popsicle is refreshing and delicious. Get the full recipe from Sweet Life. 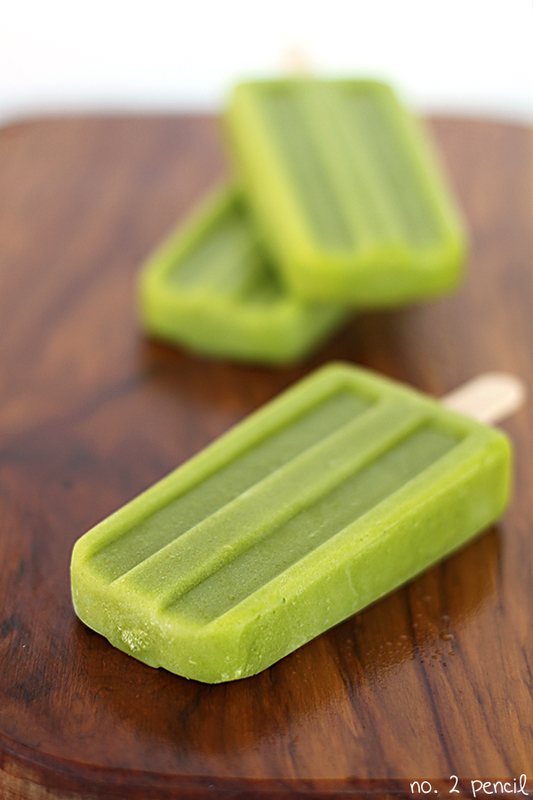 Green Popsicles. 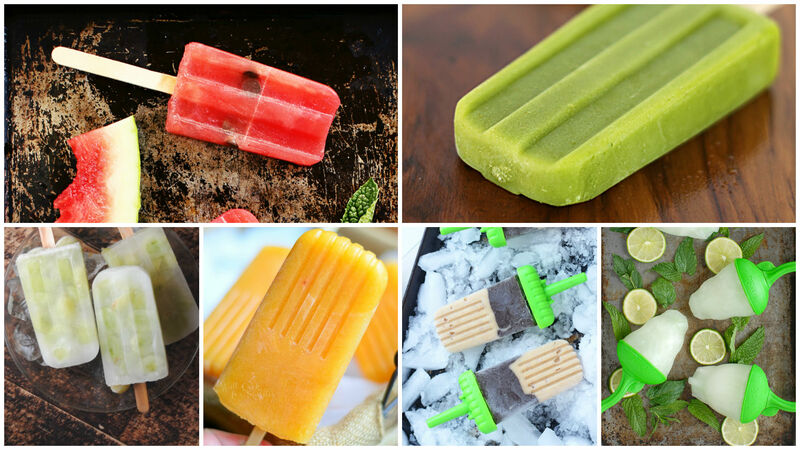 Ok, ok, so popsicles aren't all about what I find delicious — they are also about packing in some serious nutrition. And this green popsicle from No. 2 Pencil is perfect, because it combines the cool taste of mango with the nutrients of spinach. All while still being, well, delicious. Get the full recipe here. Hey, this can't all be about health and nutrition right? A pregnant lady's gotta do what a pregnant lady's gotta do. And sometimes, that involves chocolate. So please allow me to drool over this chocolate, banana and yogurt concoction that may just be the best of all worlds. Find the recipe over at Carmel Moments.